Walk-in closet is like no other & bigger than most DT apartments! Lower level is a walkout ft stunning glass enclosed wine rm & impressive media rm w/large wet bar. Ample storage & 4th bed w/access to the shared 4pc bath. Extra large mud rm entering into the attached 4-car garage. Backyard is low maintenance w/a zen-like feel & includes a built-in irrigation system in the raised flower bed. Entire lower level & garage has hydronic in-floor heat & is setup for surround sound. Uniquely hidden utility room has been tucked away behind a secret built-in bookshelf door. Home has been built green & has been registered w/Energuide & is all steps away to all levels of schools, the Calgary Winter Club, Confederation Park & DT. 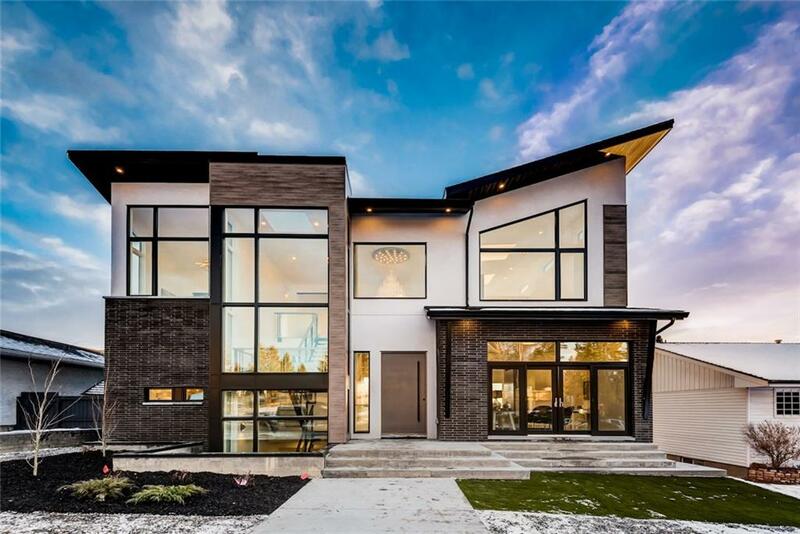 This home is truly a one of a kind build & has been meticulously designed w/function & flow in mind. Don't miss out on this gem!